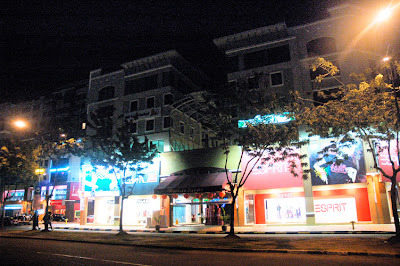 These are some of the photo i took at night around Warisan Square at the town. 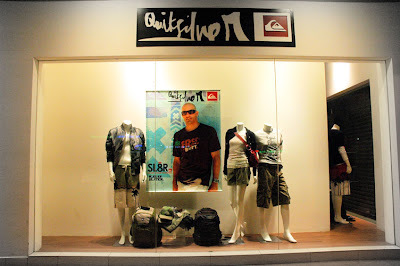 Branded shop that i doubt the local can afford or not. 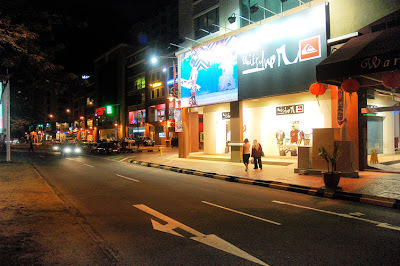 Similar kind of shop was opened before at Center Point and close few years after. 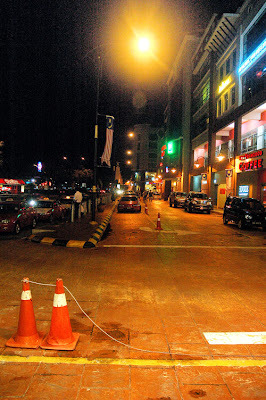 Front main road that facing the sea. Finally i managed to took some decent photo at night. It’s my fault because I’m not used with the camera after one and half years of using it. Too much yellow balance on the photo. I should set the white balance before take the photo. Thou it still okay i guess. Another white balance problem. This time i guess the street light cause the problem. Should set the camera white balance too. At last, a decent night shot photo with a little bit photoshop and touch up. Lots of grain effect on the top of the photo because it too dark. I brighten up top portion, so it will look more better than a black pitch on the top. non-blogger user comment? now i prefer comment form people i can trace and know. anonymous comment is a no at the moment. maybe in future. 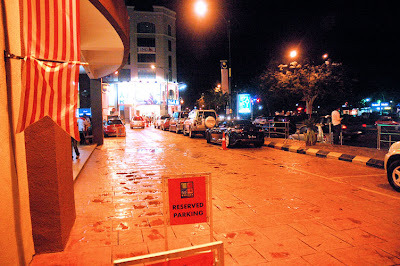 Is Warisan Square that super big mall in KK? Or the mall isn’t completed yet?